Rabbit likes to leap before she looks. Possum is a little more cautious. Together, they are a dynamic duo ready to charm fans of Frog and Toad or Toot & Puddle! Rabbit has been preparing all day for her best friend Possum’s visit, but when the time comes she finds Possum fast asleep. No matter what Rabbit does, she just can’t wake him up. But then a rustle in the bushes frightens Possum and sends him up a tree—where he gets very, very stuck. Rabbit has any number of ideas to get him down. Unfortunately, they all make Possum a little...uneasy. But best friends never give up. With a little creativity—and a big surprise—Rabbit just might be able to save the day. 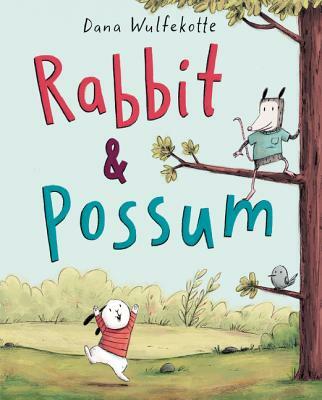 These unlikely friends and their upbeat humor are just right for fans of Eric Rohmann’s My Friend Rabbit and Kelly Bingham’s Z Is for Moose.